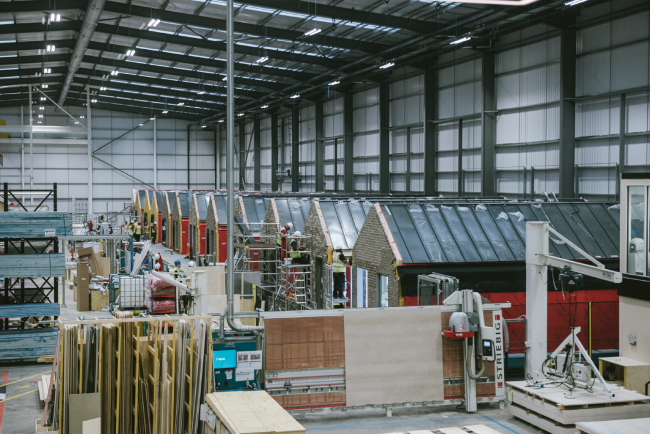 TopHat, the UK’s leader in technology-driven modular housing manufacturing, is today pleased to announce the closing of a £75m capital investment by Goldman Sachs. Founded in early 2016, TopHat commenced production in early 2018 at its state-of-the-art manufacturing facility in South Derbyshire and has been a pioneer in developing industry-leading technology and manufacturing processes that will shape the UK’s digital construction sector. The first residential site to use TopHat’s product is the historic Kitchener Barracks in Chatham, Kent, which will welcome residents in the second quarter of 2019. The development is a showcase for TopHat’s unique, high quality, and design-differentiated product. TopHat is delighted to have an institutional partner such as Goldman Sachs, to help expand and scale the business. As per the Government’s housing white paper, modern methods of construction, and volumetric modular housing are instrumental in increasing the delivery of homes and helping to solve the UK’s housing crisis.